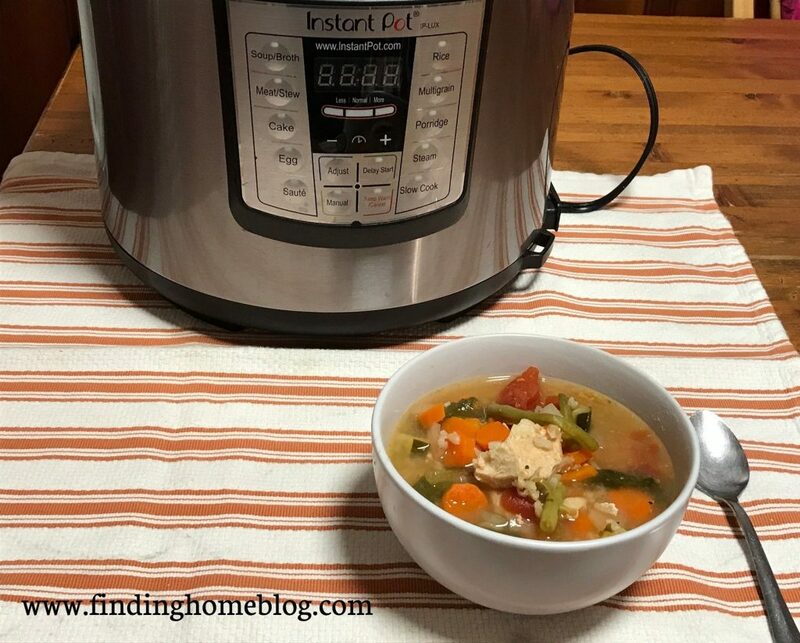 I love using my Instant Pot to cook food hands off, and one of my favorite things to make in there is soup. And really, as long as you have enough liquid to pressurize, and you don’t overfill the thing, soup is pretty hard to mess up. I like to just keep adding things I think will taste good, and see how many veggies I can sneak in there for my family to eat. This soup was born from one of those times when I just kept adding things, then closed the lid and waited to see how it would turn out. One of the nice things about this recipe was that it not only helped me clean out a few odds and ends out of the fridge, but it also used a good mixture of pantry and freezer ingredients that I regularly have on hand. So I won’t necessarily have to run out and buy a ton of different things, even though there’s a bunch in this soup. And for you? If there’s something in here that you don’t have on hand, skip it! Or if you have a different vegetable in your refrigerator or freezer, add that instead. It will probably still taste delicious. Load all ingredients into your Instant Pot. Close the lid and check to make sure the valve is set to seal, not vent. Cook on manual for 25 minutes, followed by a 15 minute natural pressure release. *To make this recipe paleo, just omit the rice. Now the real question: how did the kids like this soup? Answer: it wasn’t their favorite, but they still ate it. My kids are the type where if they even see something they don’t like (in this case, zucchini), they are convinced the whole thing will be terrible. Even if you can’t taste the zucchini, children. There were enough other veggies that they do like in the soup to make up for the “awful” ones. So I’ll call that a win! 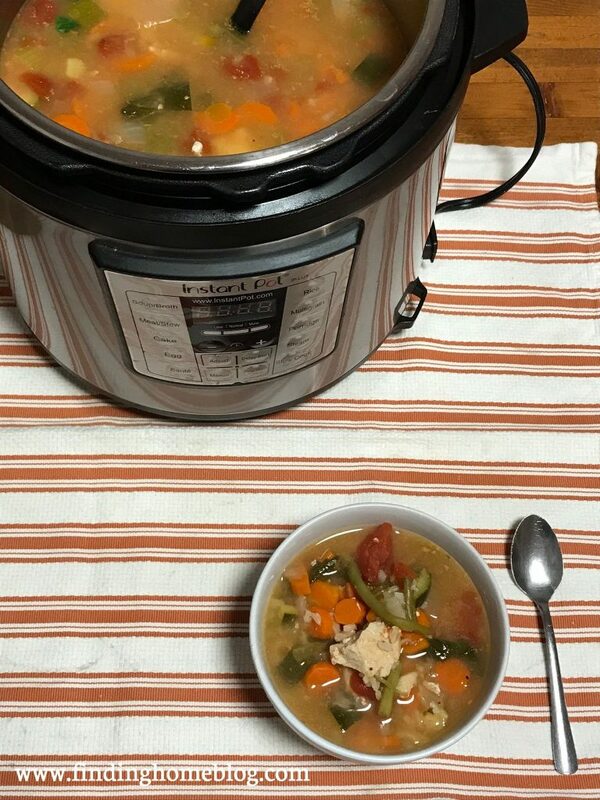 This is a great soup for those cold winter days, and you can even get everything prepped ahead of time in a bag in the freezer – just add your broth at cooking time. Then it truly is a quick meal. 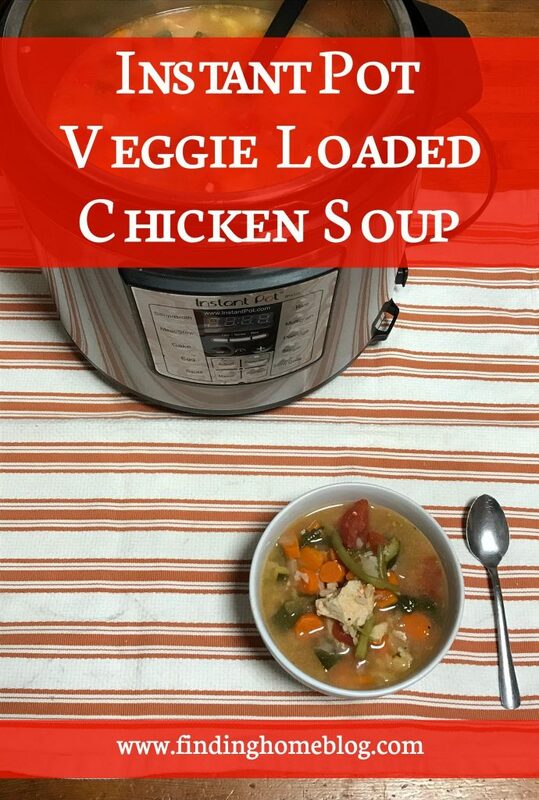 If you’re looking for a way to get a whole bunch of veggies into your diet in an easy meal, this is the soup for you!